A decent headset is a must when you’re serious about gaming. A good set of speakers is, of course, indispensable for your day-to-day gaming, but when you’re playing late at night, or at a tournament, or just getting in a bit of mobile gaming on the bus, it pays to have a quality gaming headset ready for action. When it comes to picking one, though, the choice can feel a little uninspiring. Search for gaming headsets and you’ll come across a massive selection of identical-looking units, all black plastic with black leatherette earpads. And while it’s a stylish look regardless of its ubiquity, it doesn’t necessarily translate into a comfortable fit. That leatherette may look good at first, but once you’ve had it clamped around your ears for a few hours you’ll probably find it becomes sweaty, sticky, and uncomfortable. That’s why, for its newG433 gaming headset, Logitech G went back to the drawing board to create something that not only delivers best-in-class audio quality, but also looks good and feels amazing to wear, even over extended gaming sessions. 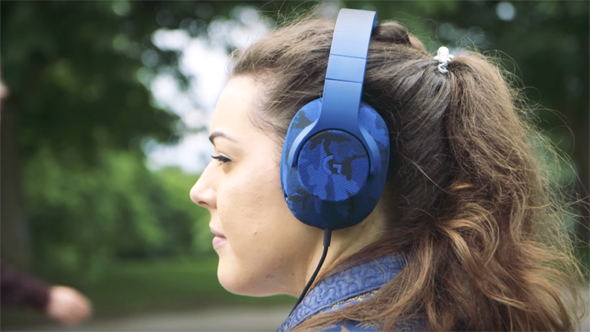 And so, rather than look at existing headsets for ideas, Logitech G instead went to top sports performance brands for inspiration and came up with a headset that uses the latest materials for a supremely comfortable fit, no matter how long you’re wearing it. It also comes in a range of color options – Royal Blue, Triple Black, Camo Blue, and Fire Red – so that you’ll stand out from the crowd. The G433’s lightweight and breathable sports mesh earpads are a delight to wear and won’t get nasty after a few hours of intense gaming. Even after a heavyweight gaming weekend session, you can simply remove them and give them a wash, so that they’re spring-fresh when you next need them. And if you don’t really get on with sports mesh, that’s no problem. 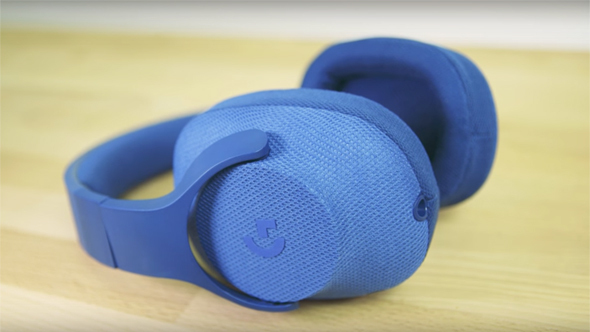 The G433 also comes with a set of microfiber earpads so you can go with what feels best to you. Steel headband sliders make the G433 incredibly durable, while a 90-degree custom swivel means you can rest the ear cups on your shoulder when you don’t need them, DJ-style. The hydrophobic stain-resistant finish ensures that the G433 will retain its stunning looks when other headsets are starting to look a bit tatty, too. There’s more to the G433 than its appearance, though. It’s packed with technology dedicated to making sure that its sound matches its looks. 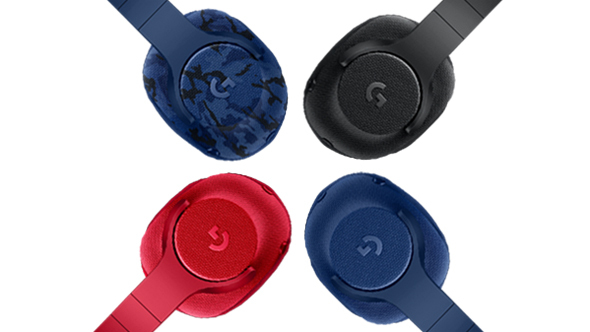 Central to its performance are Logitech G’s own Pro G audio drivers, made with hybrid mesh materials to deliver top-quality audio with clear highs and lows with minimal distortion, so whatever your audio source you’ll hear it at its absolute best. And to pump up the sound that little bit more, the G433 features a hidden audio port to boost those mids and lows. To help you get fully immersed in the game, the G433 also comes with its own USB digital sound card with DTS Headphone:X 7.1 support. It accurately replicates the experience of 7.1 surround sound, complete with positional audio, so that not only can you hear which direction the opposition’s coming from, you can also tell just how far away they are. It’s the best way to reliably hear your games the way their audio designers want you to. You can even fine-tune each surround sound channel to your own tastes using Logitech Gaming Software, and set up profiles for all your games so they’ll always start up sounding just the way you like them. And, to save you all that trouble, Logitech G is also working with developers to create custom profiles for top games. For instance, EA DICE’s audio engineers have created a custom Pro G EQ for Battlefield 1 that recreates the studio environment that the game audio was designed in. As well as pumping out high-quality audio, the G433 also ensures that all your voice chat is captured with crystal clarity. Its boom mic features a micro filter that eliminates unwanted pops and hisses without the need for a big foam ball on the end, so whether you’re talking tactics with your teammates or broadcasting on Twitch, no one’s going to miss a word you say. It’s removable, too, for when you’re playing single-player or out and about, and for those situations the G433 has an extra 3.5mm mobile cable with its own inline mic. With support for PC, consoles – including Nintendo Switch – and mobile, the Logitech G433 gaming headset is a thoroughly versatile way to hear your games at their best for an audio experience that sets itself apart from the competition. But if you don’t quite need all its stunning features there’s an alternative in the form of the G233 Prodigy gaming headset. This more budget-friendly option packs many of the G433’s best features, including the Pro G audio drivers, removable boom mic with micro pop filters, and multi-platform support so it’s suitable for all your gaming needs. And while it doesn’t have the G433’s color options, it’ll still stand out, with a soft-touch black body and Cyan Blue sports mesh earpads. Both the G433 and G233 gaming headsets are available now from Logitech G, with free delivery.